My parents are not really crafty folk. Artistic and creative yes, but not really macaroni and loo roll crafty, if you know what I mean. 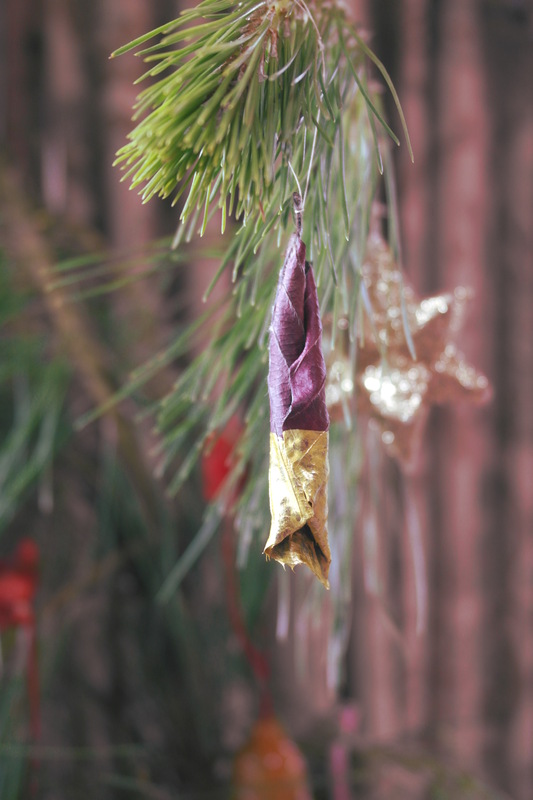 But every Christmas we would collect pine cones and spray them gold. Without fail. It was a Christmas ritual and it happened as sure as I’d eat all my sister’s chocolate advent calendar. 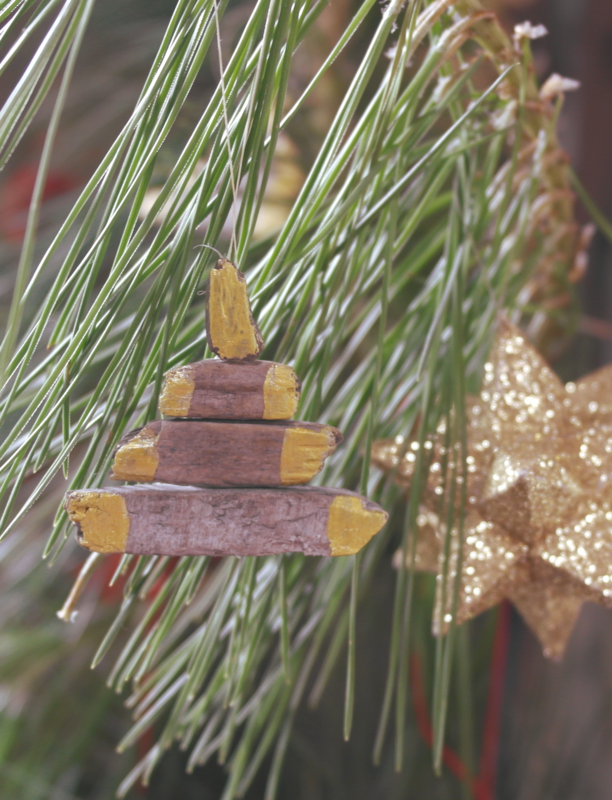 I have seen lots of beautiful nature and Christmas crafting going on lately – I have pinned a heap to my Pinterest board, a Handmade Christmas. And I loved the Owl and Accordion’s bright and beautiful twigs. I’ve been inspired to embellish nature a bit myself. You know, just help it along a bit? Let’s be fair, everything is improved by a bit of shimmer, no? I did shells and dried up leaves – I found their shapes already insisting they were icicles. I tied a little pearly cotton around the top. They look great on our tree… look, I’ll show you… even though our tree looks like it is doing the Michael Jackson Thriller Dance, it is so droopy. 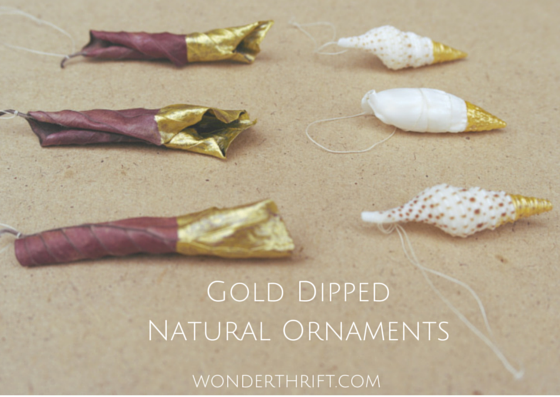 I also gluegunned a few bits of drift wood together onto a bit of cotton and gold dipped the edges. It is a Christmas tree, geddit? This is a craft all over Pinterest at the moment and I can see why- it is so easy and so effective! I LOVE these, so cool, I wish I’d seen them when I was doing my Britmums roundup. I’m going to Pin this post so I remember for another time…FAB!